Sensational Smith wows the Ally Pally! 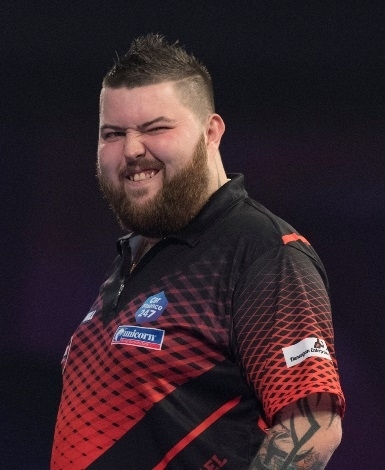 Michael Smith has proved once again that he has the game to be World Champion. The Unicorn ace demolished Luke Humphries 5-1 to set up a World Championship semi-final against Nathan Aspinall. And of course the dream of an all Unicorn World Championship Final is still very much alive. Gary Anderson’s brilliant 5-2 victory over Dave Chisnall on Saturday afternoon sets up that semi-final showdown with Michael van Gerwen. Smith defied his own double trouble to win in an hour with Humphries unable to match the St Helens star. Smith’s performance in numbers....103 average, eight 180s, 24 x 140s but 15/46 on the doubles! He missed more doubles than his opponent had in the entire match. Humphries was 8/14. But this win moves Smith up to No.6 in the world. He started superbly going two sets up in just 12 minutes! Smith won six legs out of seven and the one he lost, he missed five darts at doubles. A fantastic 170 check-out got Humphries fired up as he won the third set without reply, but Smith soon extinguished any hope of a comeback. He restored a two-set lead and despite a 151 finish from Humphries and five more missed darts to break, the Unicorn man stormed back with two 180s and a 177 as he banged in 13 and 11 dart legs to make it four sets to one. Smith had another meltdown on his finishing in the 6th set but it didn’t matter. He recovered to take his 180 tally to eight and won the match with a two-dart 87 finish.